A few photos from Fridays show. A few photos from Fridays show can be found here. Big thanks to everyone that made it down and our bros in Welcome the Howling Tones, Shattered Skies & Allies. Special thanks to Ralph Morris for filling in on drums for us, Joe James and Progressive Promotions for having us & Jayne Bradd and Daniel Hodgson for the photos. This friday will be awesome. 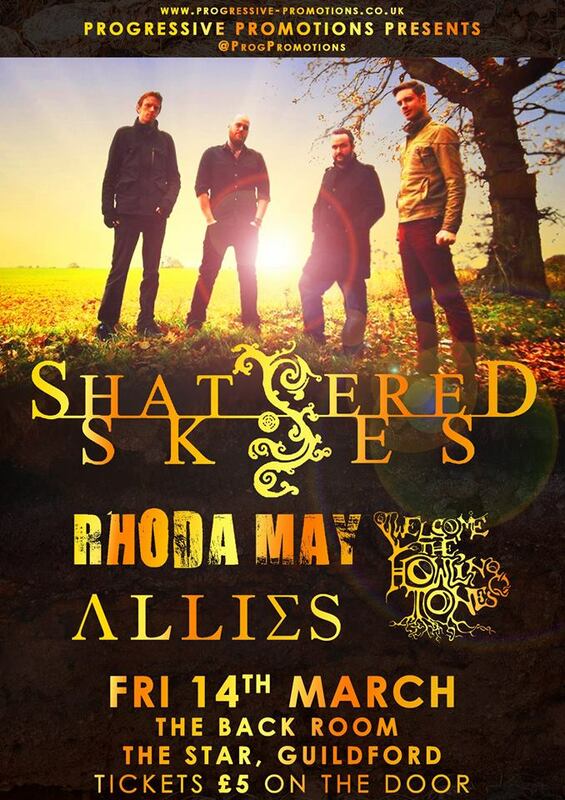 This Friday will be awesome: Shattered Skies, RHODA MAY, Allies & Welcome the Howling Tones at the The Back Room, Guildford, UK. Our drummer Mark is out with injury for this one, but our good friend Ralph Morris will be filling in. We’ll see you there. FB Event details here. In just under two weeks. In just under two weeks we’ll be rocking the The Back Room, Guildford UK with Shattered Skies, Allies & our close chums Welcome the Howling Tones. More info here. Show News! Shattered Skies, RHODA MAY, Allies & Welcome the Howling Tones. Friday March 14th @ The Back Room Guildford UK. Facebook event info can be found here. Last night @ The Back Room. 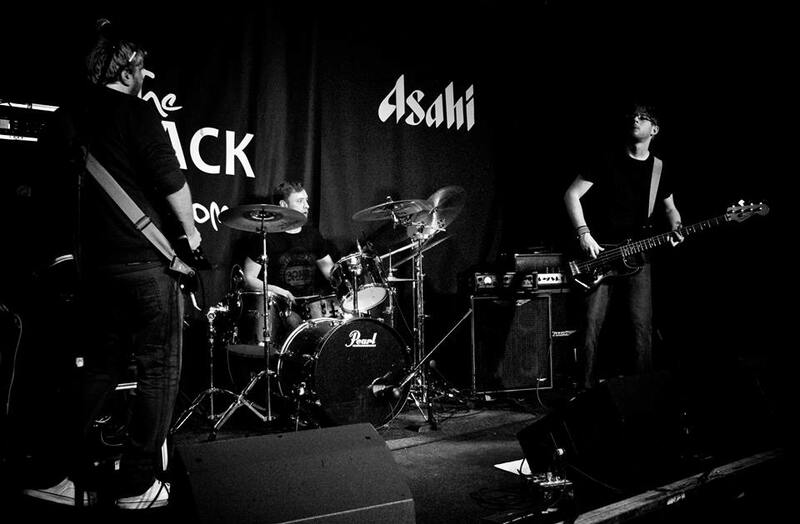 Thanks to everyone that made it down to last nights Progressive Promotions show at The Back Room in Guildford. Epic sets from our chums OPUS (band) & Heights. Also go check out White Moth Black Butterfly if you haven’t already. More show news soon. We’ll leave you with this short video clip from last night. Here is the next show and we get to share the stage once again with our talented prog chums Heights & OPUS (band). White Moth Black Butterfly are headlining. (Dan Tompkins, Ex-TesseracT solo project).